Jesusfreakhideout.com Music News, April 2013: Five Iron Frenzy Announces "FrenzyCon 2013" Event For August! 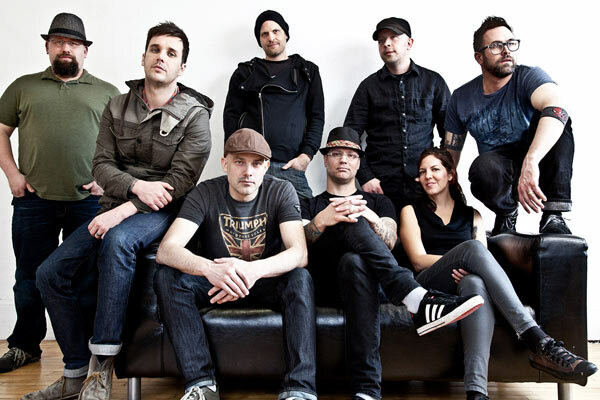 Five Iron Frenzy Announces "FrenzyCon 2013" Event For August! It's hard to believe that an entire year has passed since we gathered to rock together at Casselman's for the reunion show. It seems like almost yesterday! And last year's Kickstarter weekend was so much more than just about going to a concert; it was a family reunion! Many fans planned group events and activities to enjoy throughout the weekend. Great friendships were made, and this year many of the same fans have decided to have a second annual family reunion in Denver, lovingly called FrenzyCon. And we'd love for you to join us!! FrenzyCon will include a concert at the Ogden Theatre in Denver on August 17th, 2013 at 9pm. There will also be various hosted events between the dates of August 15th through August 18th (see our website more details on events). FrenzyCon weekend will be free for all to enjoy, with the exception on one exclusive VIP Meet & Greet (August 16, 1pm to 4pm... that's 3 whole hours!!) VIP tickets will be $30 and will include an exclusive FrenzyCon t-shirt designed by a fan (see website for contest details). And we want to make these tickets available to you first!! Tickets will be sold here. Enter the promotional code "kickstarter" for the option to buy pre-sale tickets. The pre-sale promo code will only work between 10am MST, April 30th until 10pm MST the same day. Ticket sales will available to the general public at 10am MST, May 1st, 2013. Concert tickets will be sold separately through the Ogden Theatre. Tickets will be on sale May 4th at 10 am MST. Feel free to join us on Facebook. Our group page has become an environment where fans can meet other fans, enjoy conversation and online community, and sometimes hear from the band members (yes, they participate in the madness too). Hope to see you in Denver!! Visit http://frenzycon.com/ for the full details!